Sometimes we get so busy and involved in our day to day lives that we stop making time to evaluate the people and influences that are currently in it. The people in our lives have a massive impact on us, from our sense of friendship and belonging, to our emotional wellbeing and general happiness. The time has come to consider the influences in your life. As we move through life, there will be people who enter it that we may not get along with so well or who make our lives somewhat challenging. This cannot be avoided as it’s impossible to avoid these personality clashes sometimes, but we can reduce them. There may be people we work with, parent’s of our children’s friends, our partner’s best mate, or worse… a family member that drives us a little crazy from time to time. This can cause us tension and is anything but simple. While we may not be able to avoid them completely, we can make an active choice to minimise their impact on our lives. Consider the relationships in your life that are by choice. This includes the friends and associations you keep, your social media connections and even who you choose to eat lunch with at work. Are any of these relationships causing you stress or unnecessary negative emotion? If so, ditch that relationship quick smart. It need not be a big drama. Simply parting ways quietly with those negative influences in our lives can be a very refreshing and empowering experience. For example, that ‘friend’ who is constantly complaining or criticising others… yourself included. There is no benefit to such a relationship. Instead surround yourself with people who provide a positive influence on your life and who do not complicate it. This can be tough because sometimes when someone has been in our life for the longest time, it can be really hard to ‘break up’ with them. And of course there are occasions when we simply have to accept them, such as that annoying cousin you see at family get togethers. But minimising the time you need to see such people or removing them completely helps us on our path towards a simplified life. 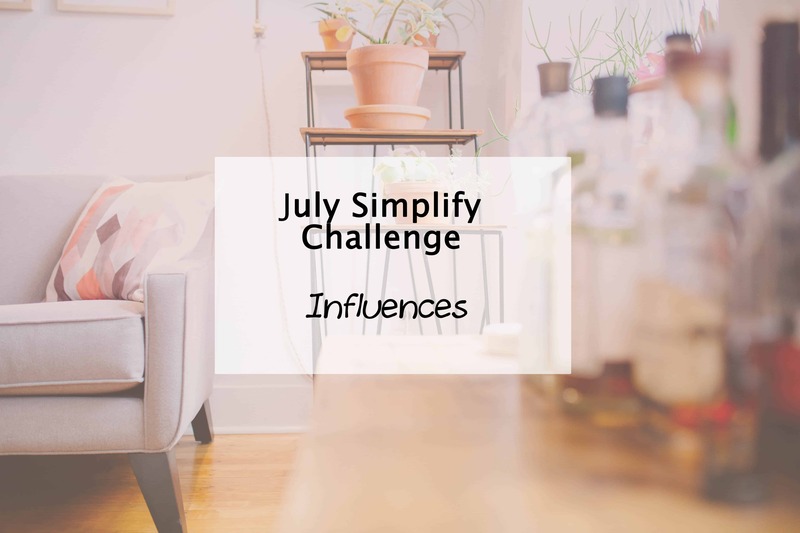 Have you joined in the Simplify My Life challenge yet? You can find all the tasks so far, including lots of free prinables to help you declutter, organise and simplify your life from head to toe in 2015 and beyond. Have you ever had to break up with a friend? Are you glad you did?